Andrew Leong Telstra's Transport Network is a telecommunications backbone with a national footprint covering metro, regional, rural / remote and intercapital routes using Optical Fibre, Radio and Satellite technologies. It forms the essential connectivity for Telstra's Next IP, Next G Mobile, Wholesale Services, Telstra Broadband over NBN and other critical services. Andrew will discuss Telstra?s Transport Network and the innovative technologies essential for transporting ever growing amounts of data across a vast Australian continent with populations separated by extremely long distances and harsh environmental conditions. AFTER the conclusion of Andrew's presentation at 1.30pm, there will be an opportunity for you to network with your industry colleagues over tea and coffee until 2.00pm. Andrew is responsible for leading and providing technology and network engineering expertise to develop and support Telstra’s Optical Transport Networks (covering NGSDH/SDH, DWDM, Packet Transport and ancillary systems), Radio Backbone Networks and Satellite Networks. Andrew is the strategic focal point on the establishment and verification of Telstra requirements on technology development and evaluation for beyond 100G (400G, Terabit), Packet Optical Transport, DWDM systems, Gigabit radio and Satellite backhaul. 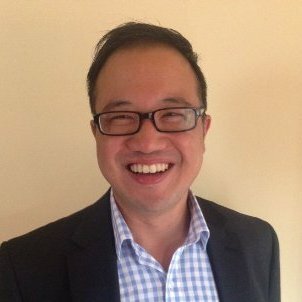 Previously, Andrew was the General Manager of Architecture Implementation within Telstra and has also led a 5-year Platform Rationalisation initiative for Telstra across a variety of technology types and products to reduce the quantity and complexity of Telstra’s technology infrastructure.